City workers may have helped their friends and family get jobs in the city’s troubled water department, according to two recent investigations. But instead of immediately addressing the allegations when they were made over two years ago, the water department simply stopped hiring some new workers. This previously undisclosed hiring freeze may have contributed to poor customer service in the understaffed department. Auditors began looking into nepotism at the department after a tip came into the city’s fraud hotline. An anonymous tip alleged water department staff were rigging the hiring process for low-level laborers. The city auditor’s office looked at 120 laborers hired between December 2012 and July 2015. Of those, 41 should not have been hired, the auditors concluded. The auditors heard that “most” of the people who were hired improperly had friends and family working for the city already. When the audit was published in August 2016, auditors recommended a few simple things water department officials could do to fix their hiring practices. Instead, the water department stopped hiring laborers. Two members of the city’s audit committee – Councilman Scott Sherman and accountant Thomas Hebrank – both have wondered if the freeze contributed to the department’s customer service woes. 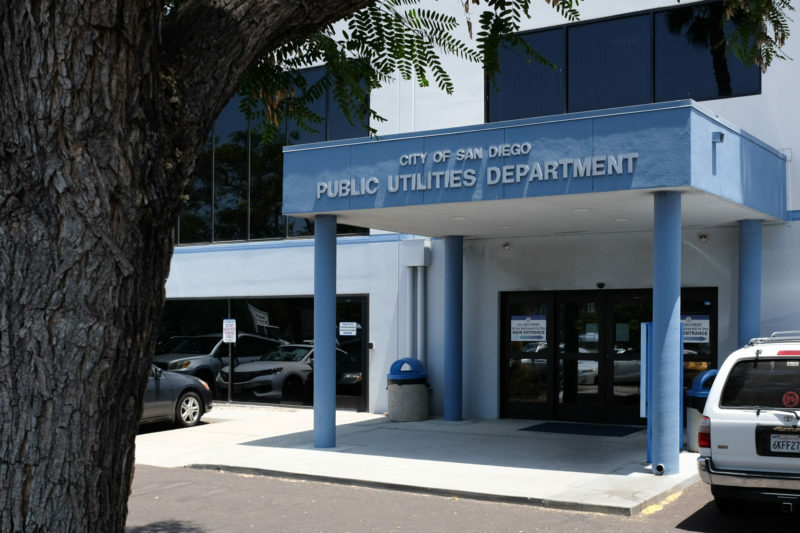 In recent months, it’s become clear the department is unable to read water meters correctly, is way behind schedule installing new “smart meters” and can take more than a year to make basic repairs. City spokeswoman Katie Keach said the city didn’t hire any new laborers from the time the audit was released in August 2016 until October 2017. In a telephone interview, City Auditor Eduardo Luna said he wasn’t responsible for the freeze. “We never recommended a hiring freeze,” he said. Because public-sector jobs can be relatively lucrative and secure, hundreds of people apply to be laborers. Water department laborers do a variety of manual tasks, like ditch digging, repair work and even reading water meters, according to the auditors. The audit looked at how the water department decided to interview and hire applicants. At times, the department said it would randomly interview people by selecting every fifth or sometimes sixth name on a list of names arranged in alphabetical order. The auditors found problems with this approach. First, because some names are more likely to appear than others, the “random” selection could discriminate against certain ethnicities. Second, auditors found that department workers were not even selecting every fifth or sixth name. Andy Horita, a fraud investigator in the auditor’s office, said in some cases this may have been because of “good faith bad counting” by city officials, but in other cases the process could be used to rig the count to select a friend or family member for a job interview. One of the auditor’s simple recommendations was to make the selection process truly random. The city took months to adopt this system. The auditors also recommended the city’s personnel department do its own investigation to see if any laws were broken. The personnel department took 17 months to follow up on the audit with its own investigation. The personnel department also heard that several employees were “hand-picked” for jobs because they were “related to or had ties to a current or former city employee.” Investigators did not pin down whether that actually happened. The personnel department sent its findings in January to Vic Bianes, then the head of the water department. Late last month, Bianes stepped down amid a host of problems, many of which happened before he got the job last fall. The problems with the hiring process happened under the watch of previous water department leaders – Roger Bailey, who led the department until late summer 2013, and then Halla Razak, who led the department through last fall. Auditors have said that while there is lax management in the department, the nepotism allegations involved low-level supervisors, not senior officials.